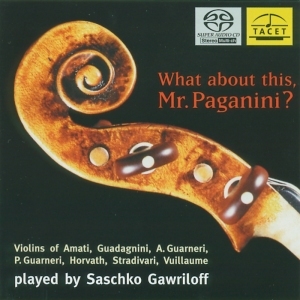 Da da da daa - "What, again?" - "Yes, of course. Sounds great!" 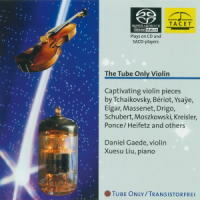 Of course, nobody should be forced to listen to the same piece of music for the thousandth time. 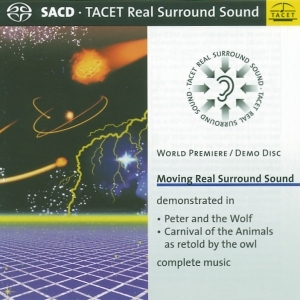 At TACET we do things differently, in TACET Real Surround Sound: programme or illustrative music in particular cries out to be enacted in surround sound. 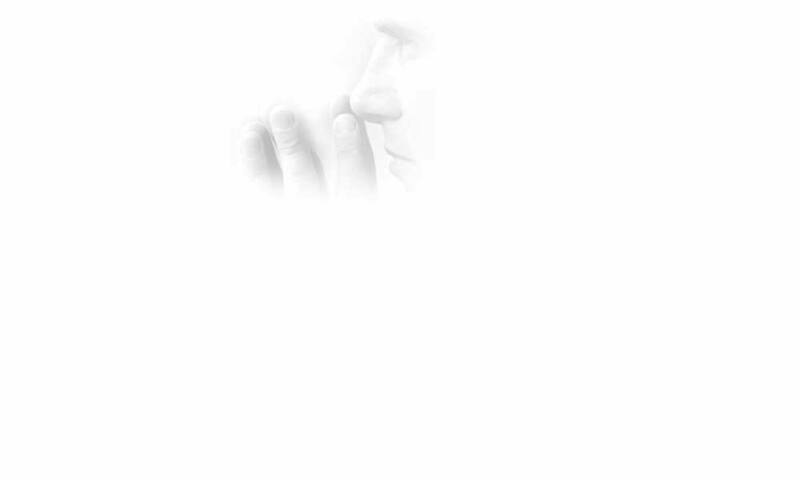 Just what Beethoven visualised with his movement titles to the Sixth Symphony remains a mystery he took with him to his grave; but he must have imagined something, or he would not have given them those descriptions. Equally, each listener may keep their thoughts on the matter to themselves. That is the reason why at TACET we do make DVDs without pictures. Ready-made pictures hamper the imagination instead of stimulating it. 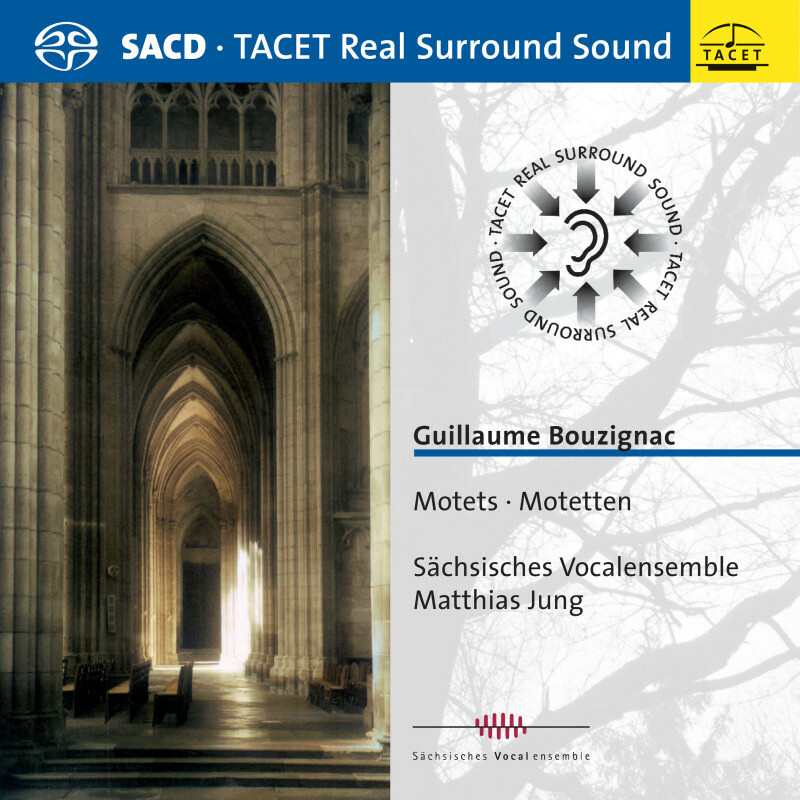 Real Surround Sound, on the other hand, stimulates and liberates the imagination. Could anything be closer to what the composer wanted? 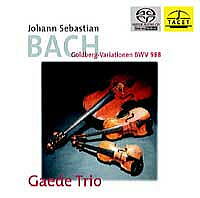 Antonio Vivaldi "The Four Seasons"
total playing time: 98 min. The skylark takes to the air, the fountain plays and the storm wind ruffles our hair: this ? and much more ? 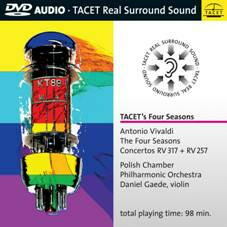 takes place in Antonio Vivaldi’s Four Seasons in Moving Real Surround Sound. This is definitely not for purists. 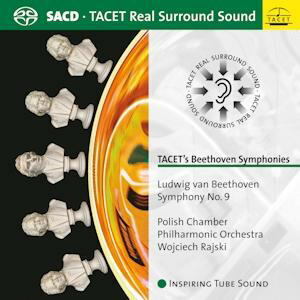 If you prefer a more demure style, then we recommend the Seasons in "ordinary" TACET Real Surround Sound, also available on DVD-A. As to my own personal view, I like both versions. 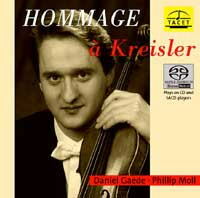 They are performed by Daniel Gaede, violin, and the Polish Chamber Philharmonic Orchestra. 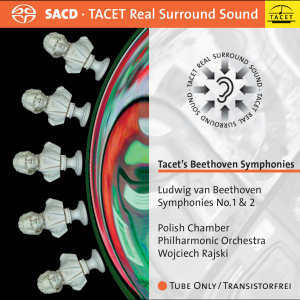 TACET S149 SACD S149 "TACET's Beethoven Symphonies"
"... this is one (recording) which I think I can unreservedly recommend to EVERY reader of this website who likes classical music. 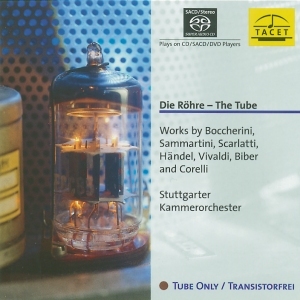 I'd personally go so far as to rate it as probably the most important issue sound-wise I've come across in listening to multichannel CDs, indeed in my entire adult listening experience (stretching back thirty years now). Why? 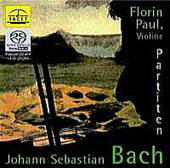 Well, what we have here is a potentially revolutionary way of using the still relatively new idea of multichannel technology in the realm of recorded classical music..."
What is particularly surprising is that the stereo version has attracted especial praise. 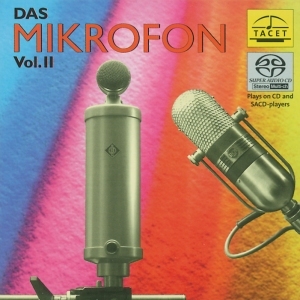 At the same time as the surround recording a second - parallel - version was recorded in stereo: using entirely valve equipment. 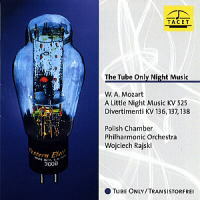 The trade mark for these TACET recordings is "tube only". The interpretation is one and the same. The press reviews commented on the performers: "... 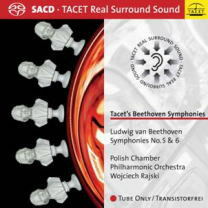 They're splendid - taut, vital, energetic, very well played by the Polish orchestra, with crisp, incisive conducting by Wojciech Rajski..."
TACET S139 SACD S136 "The Tube Only Night Music"
The version played here by the Gaede Trio was based on the Urtext edition by J. S. Bach (pub. 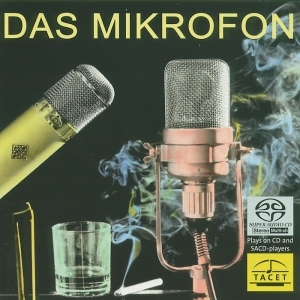 by Henle, 1978) and the transcription by D. Sitkovetsky. 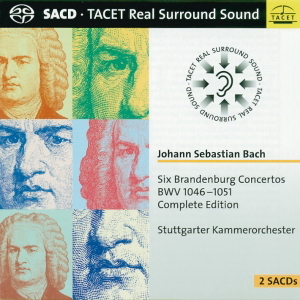 TACET S52 SACD S52 "Hommage a Kreisler"
SACD SD117 "The Tube Only Violin"
TASCET S101 SACD S101 "J.S.Bach "Six Brandenburg Concertos BWV1046-1051"
TACET S10 SACD S10 J.S Bach "Partiten/Partitas BWV1002,BWV1004,BWV1006"
TACET S49 SACD S49 "Das Mikrofon Vol.2"
TACET S36 SACD S36 "What about this,Mr.Paganini?" 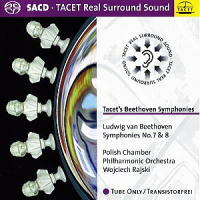 SACD S114 "Moving Real Surround Sound"
TACET S74 SACD S74 "The Tube"